Thomas Moore, Ph.D., is nationally recognized as an early childhood consultant, keynote speaker, workshop leader, and children's recording artist. 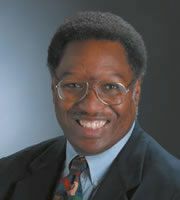 Thomas is a columnist for Children and Families, the magazine of the National Head Start Association. He has written cover stories for Early Childhood Today and parenting magazines as well as articles for Young Children, the journal of the National Association for the Education of Young Children (NAEYC). He has been a university associate professor of early childhood education and coordinator of the North Carolina Head Start Collaboration Project. Thomas earned his Bachelor of Music from the Manhattan School of Music, and his Masters and Ph.D. degrees in early childhood education from Indiana State University.